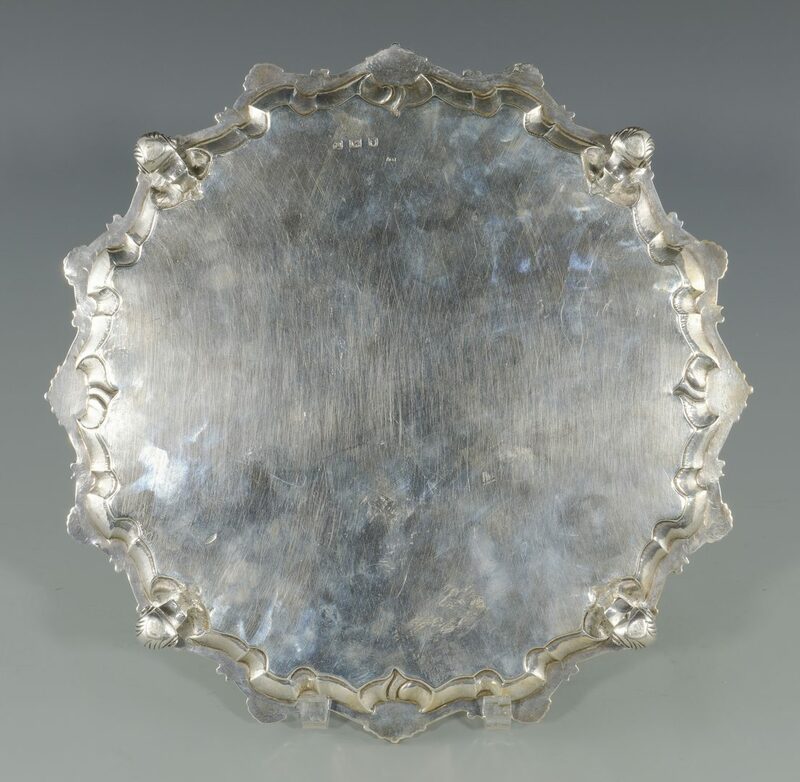 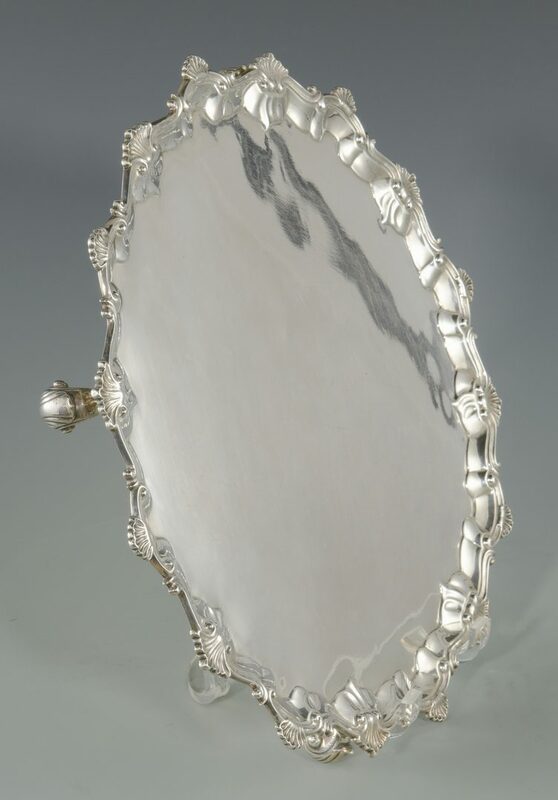 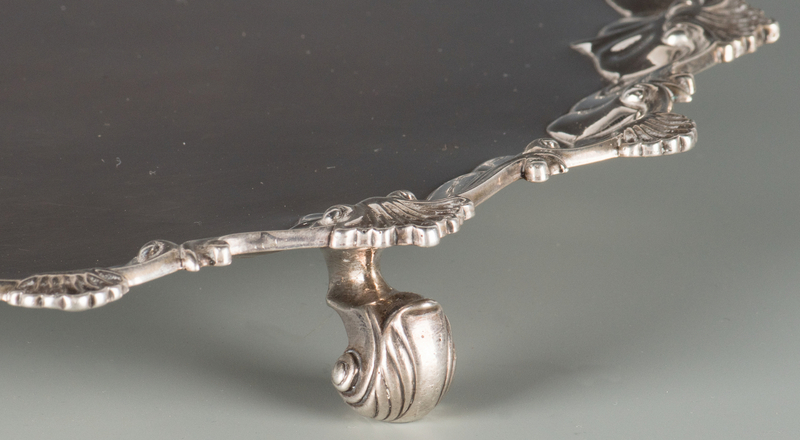 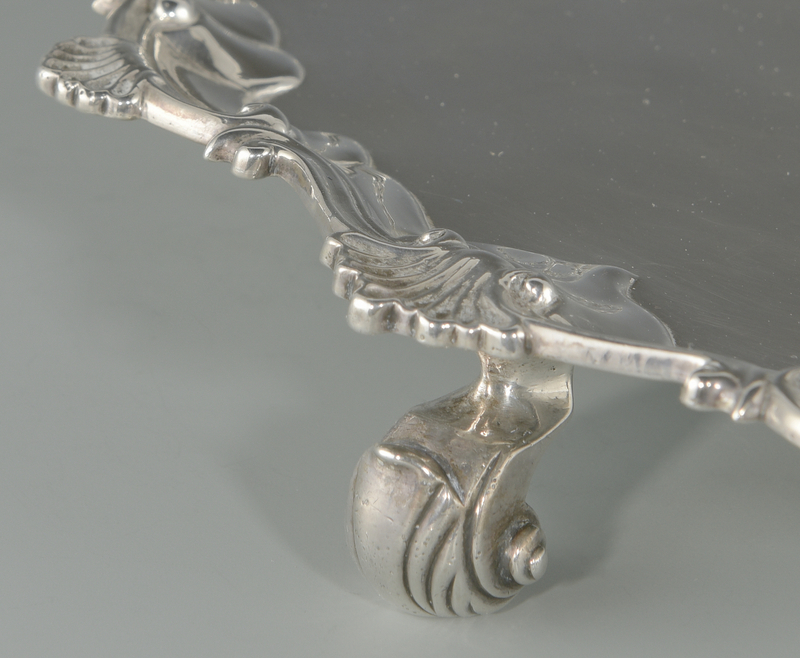 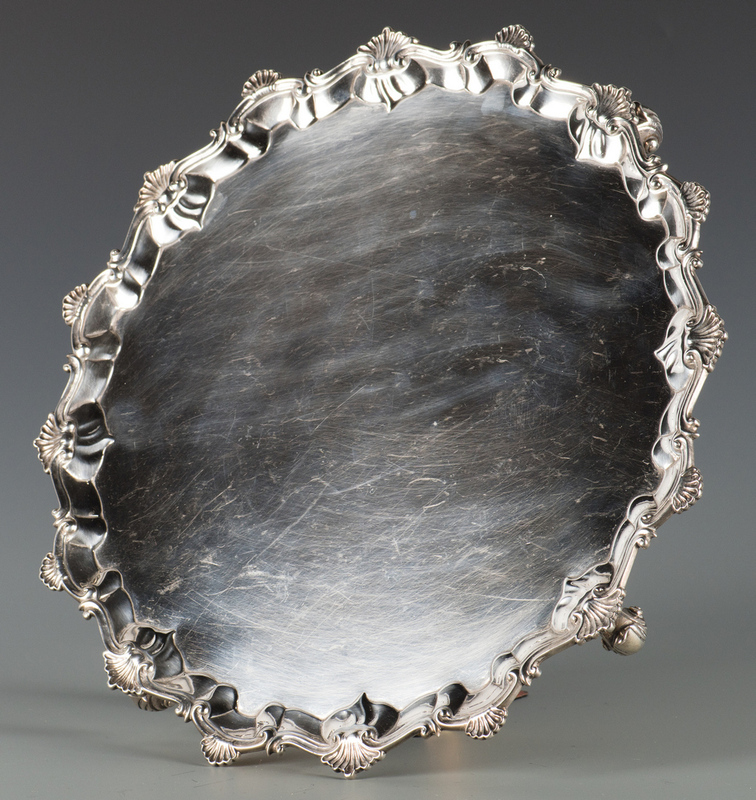 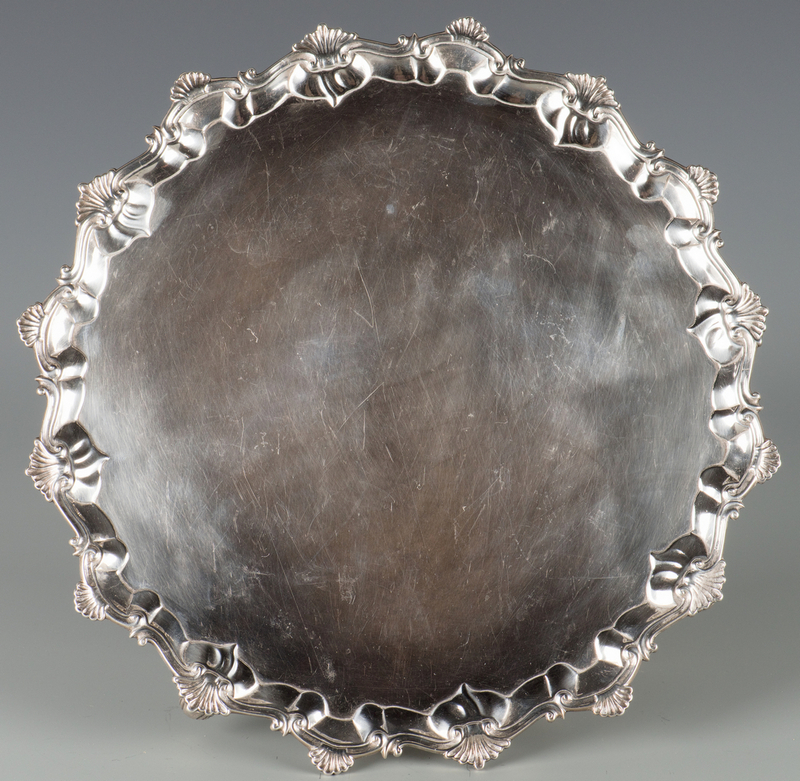 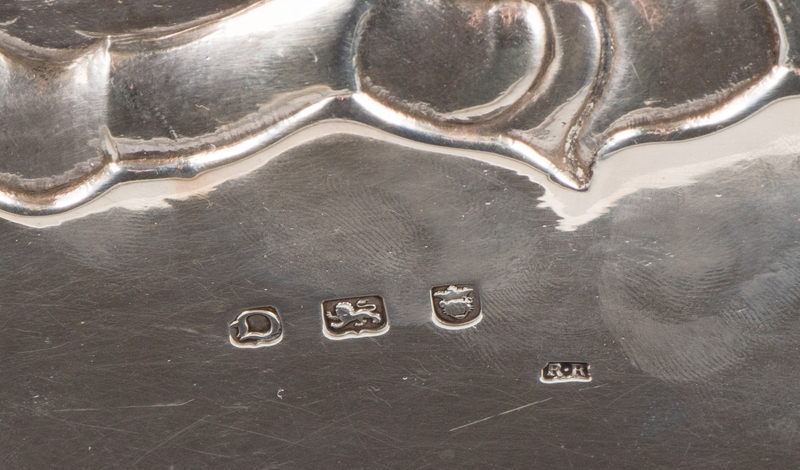 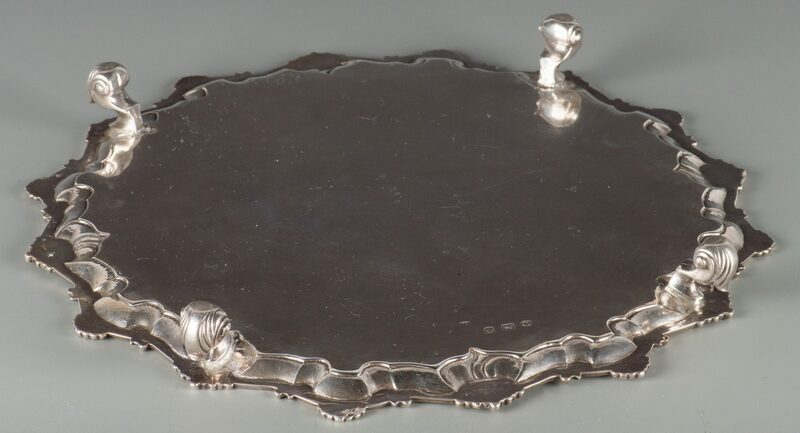 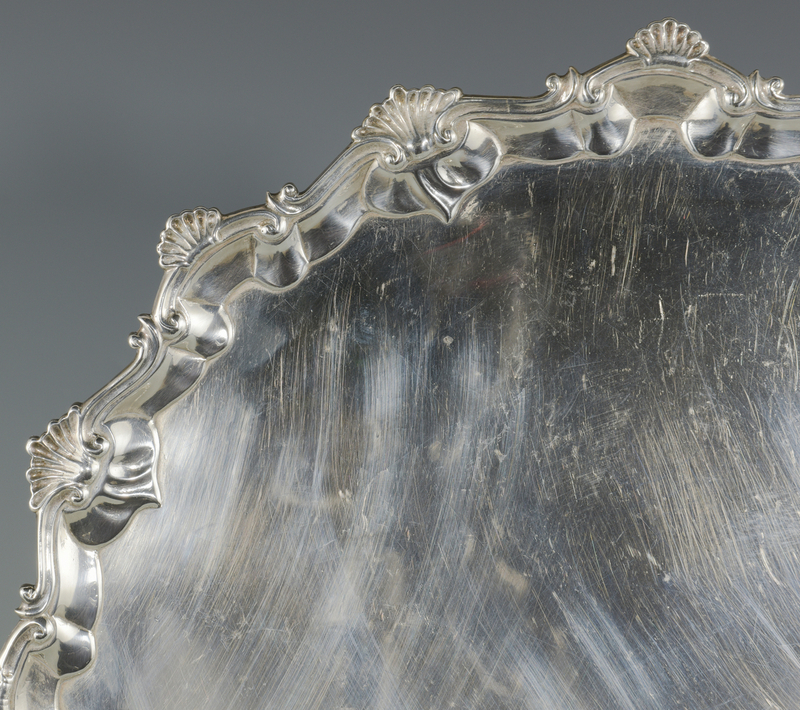 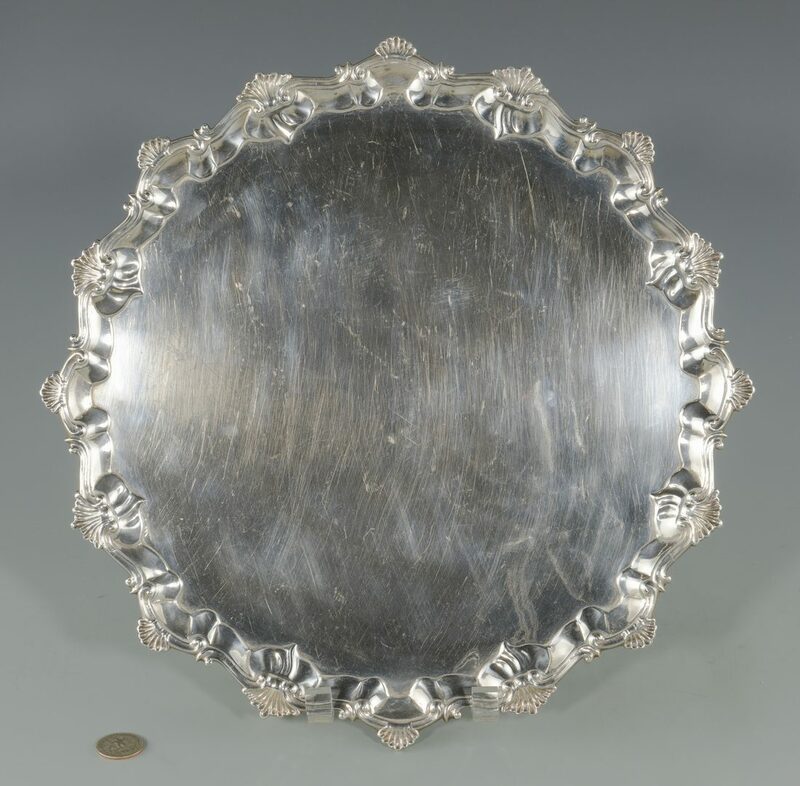 George II sterling silver salver with Rococo shell and scroll border, atop four scrolled feet, marks for Richard Rugg, London, 1759-1760. 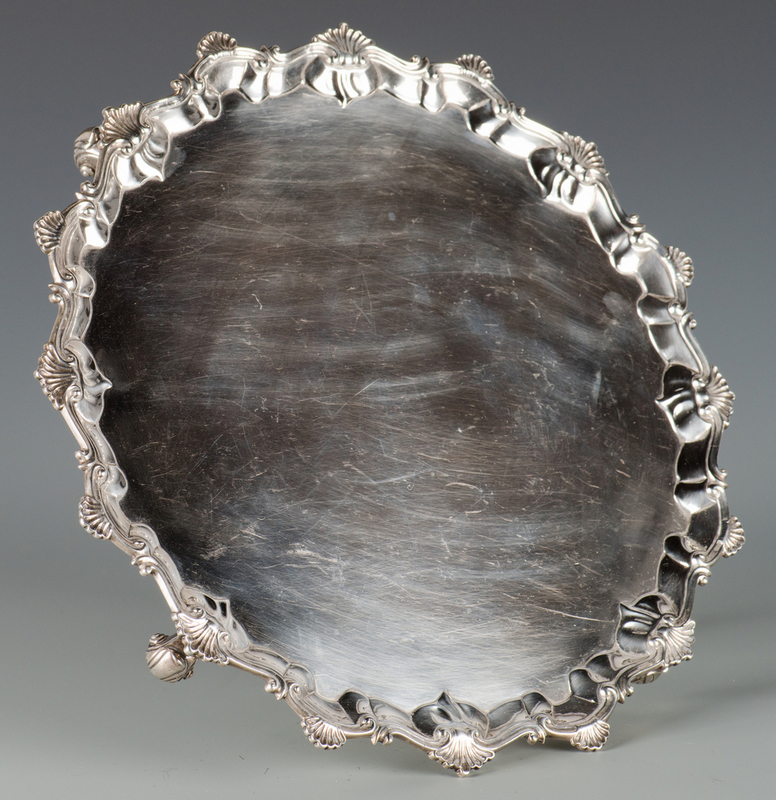 14 1/8" diameter, 39.56 oz troy. Provenance: The living estate of Dr. and Mrs. Benjamin H. Caldwell, Nashville, TN. CONDITION: A few scratches, including one moderately deep one near center, and scattered pointpoint sized dents; overall very good condition.